Nestled just a few miles from your Shawnee hotel is Sunshine Shelly’s, the popular pumpkin patch that opens September 16th for all your cozy weather fun. It’s opened for you to tackle the maze Fridays from 4 – 10 p.m., Saturdays from 10 a.m. – 10 p.m. and Sundays from 1 p.m. – 6 p.m. in September (hours extend in October). 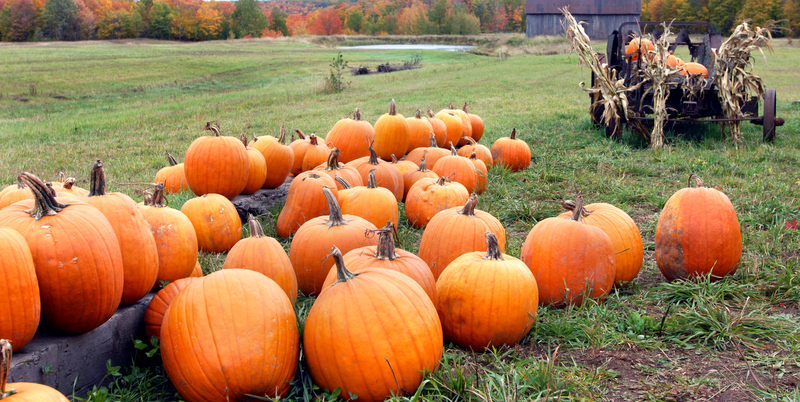 It’s the perfect warm up for choosing your perfect pumpkin for carving or decorating. Bring the whole family, a date, come solo or head to the patch as part of a business team building activity. Admission at this family-owned farm is $7 for kids, $5 for children and senior citizens, and covers everything except the famous corn canyon and your pumpkin. Explore 15 sprawling acres of ornamental gourds, healthy pumpkins perfect for the haunting season and white pumpkins for those looking for something a little different. The four acre maze is complemented by the hay ride, games for kids, the kiddie train and a concession stand serving up scratch-made treats. Restrooms are available on site as are picnic tables and fire pits to rent. Make it the perfect Midwestern fall getaway, especially with new additions like inflatables for a scary good time. You’ll often spot school trips while at the farm, conveniently located at 7110 N. Harrison just 1.5 miles north of I-40 (exit 186). Don’t miss out on this Shawnee tradition or your chance to experience a real working farm in the heart of Oklahoma.